Excellent vision is critical for all ball sports. Gaining an advantage that many are unaware of can greatly elevate skill level compared to the average player. Some visual skills can be trained, and the first step is to have them tested. Our group offers vision testing for athletes, including novel tools developed in our lab. The testing is offered through the UBC Baseball facility; if you are not a member and would like to be tested please contact us at ubc.eyegain[at]gmail.com. 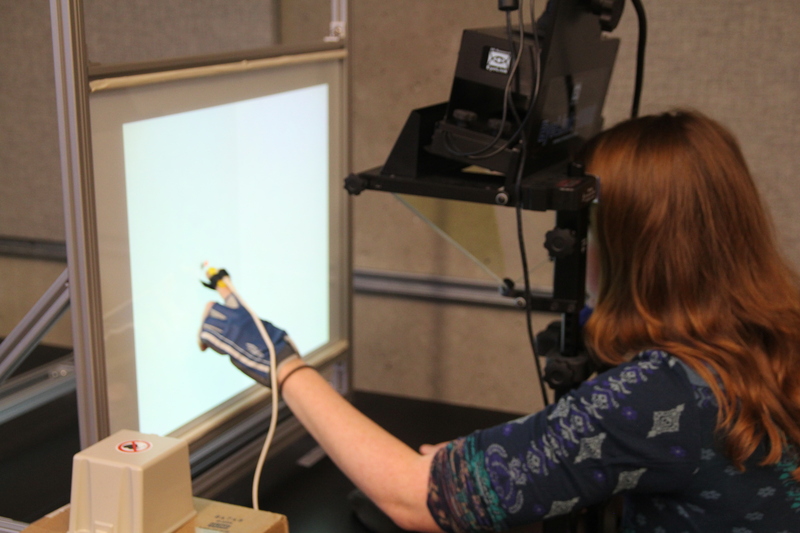 The Visual Performance & Oculomotor Mobility Laboratory is part of the Basic Science Division in the UBC Department of Ophthalmology & Visual Sciences. The team is directed by Dr. Miriam Spering, Assistant Professor, Ph.D. in psychology and neuroscience, and >15 years experience in human vision and movement testing. 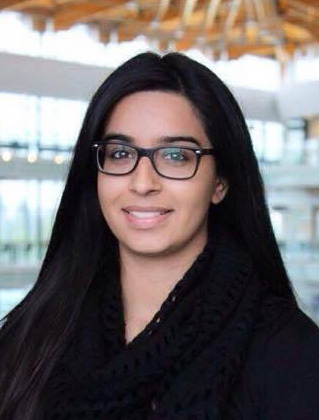 Testing will be performed by Dr. Spering and undergraduate research assistant Kiran Mann. Our group has performed vision and eye movement testing for the UBC Varsity Baseball Team since 2012. The results of this testing has been published in peer-reviewed journals. 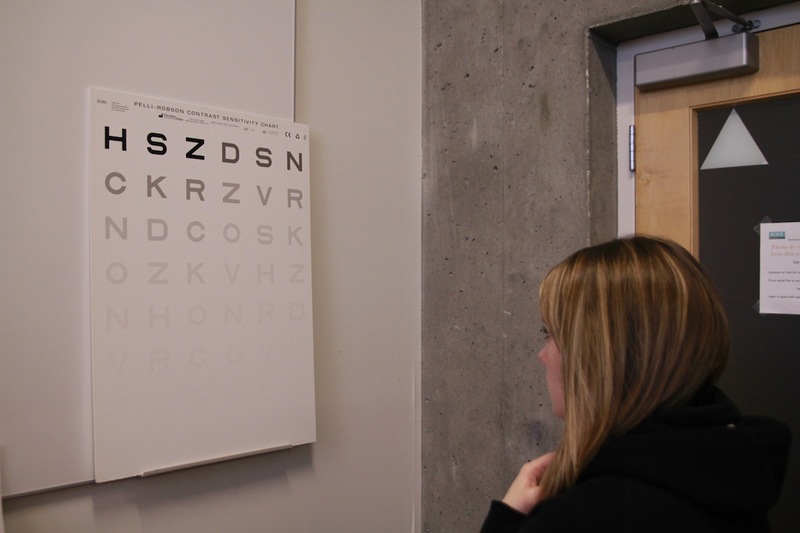 We now offer vision testing to athletes at all levels of performance at UBC. Disclaimer: Please note that we are a team of research scientists with expertise in developing and applying vision and movement tests. We are not clinicians, and cannot diagnose disease or recommend treatment. Tier 1 - Basic testing. This test package takes about 20 minutes to complete and includes standard tests for static visual acuity, stereo acuity (in 3D), contrast sensitivity, colour vision. Tier 2 - Intermediate testing. This test takes about 45 minutes to complete. It targets all areas included in the basic package plus dynamic visual acuity and gaze stabilization, using tools developed by our group. Tier 3 - Professional test. This is our most comprehensive test package that takes about 2 hours to complete. It targets all areas included in basic and intermediate packages plus eye movement mobility, hitting accuracy, and decision-making abilities, using computer-based tools developed by our group. All test packages include a full and detailed report of test results. 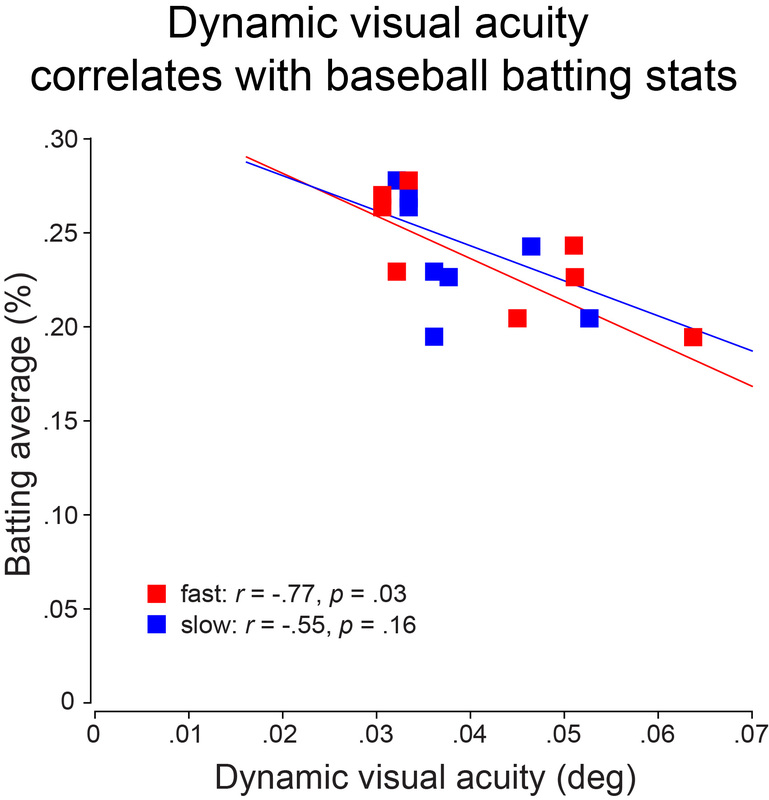 Our research in collaboration with the UBC varsity baseball team has already revealed striking relationships between visuomotor performance and baseball batting. If you sign up for any of the test packages, you will also have the option of having your data included in a research study. This research can tell us more about the relevance of vision for sports, and what it takes to become a professional athlete.